There is nothing easy about adopting. Contrary to what some may think, it’s not an easy way out for the birthmom. The decision to place her child for adoption was one made out of love and comes with much sacrifice. 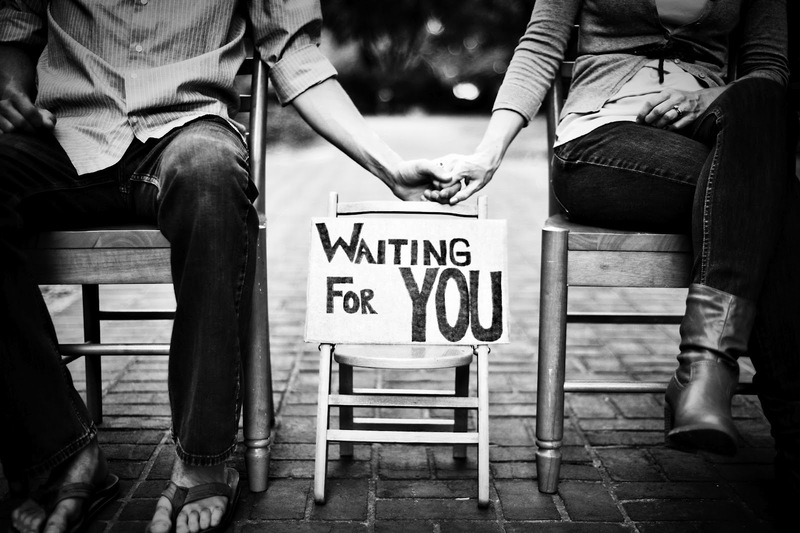 As an adoptive couple waiting, there is nothing we can do. Nothing, NOTHING is in our control. Being “chosen” comes with cautious excitement. We have to prepare for the arrival of a baby, all with one looming thought. The baby isn’t really ours. Not yet. Not until the birthparents have signed release papers 72 hours after the baby is born. This one thing alone robs the waiting adoptive parents of experiencing the joy and anticipation that most parents experience as they await the birth of their bundle of joy. When Farid and I met the birthparents for a second time, I was again filled with anxiety. I was again sick to my stomach the entire car ride to meet them. This meeting was different. It wasn’t a “get to know you” one. We had that one already. It was hearing the birth plan from the birth mother. Did she want us at the hospital when she gave birth? Would we be able to see the baby after birth? Hold the baby? The second meeting was an incredibly difficult meeting. We saw emotion from the birth mom. We saw how much she loved the baby she carried and that she truly wanted to give him the best. We saw how attached she was to the little one. The hardest thing to hear during this visit was that the birth mom was seriously considering to nurse her little boy at the hospital. Oh did I just want to cry right then and there! I knew that if she nursed her little boy, there was no way she was going to sign the papers. But this decision wasn’t one for me to comment on. It was out of my control. Ultimately, all decisions were the birth mom’s and there was nothing I could do. Nothing. Needless to say, I cried the entire ride home that day, and more often than I wanted over the next couple weeks. I cried and I did the only thing that was in my control. I had to trust God, because ultimately, HE was in complete control. God had the perfect baby picked out for us. As much as I wanted it to be our little Gavin, what if it wasn’t? What if God had another plan for us? This entry was posted in Adoption and tagged Adoption, adoptive couple, birthmom, bundle of joy, sacrifice, waiting for baby. Bookmark the permalink. Thank you so much for linking up at Kelly’s Korner. My husband and I are on the path to adoption. Thank you for being so honest ! Congratulations! Will pray for you as you are on this journey. It sure is a path that stretches your faith, but the reward at the end is so worth it!